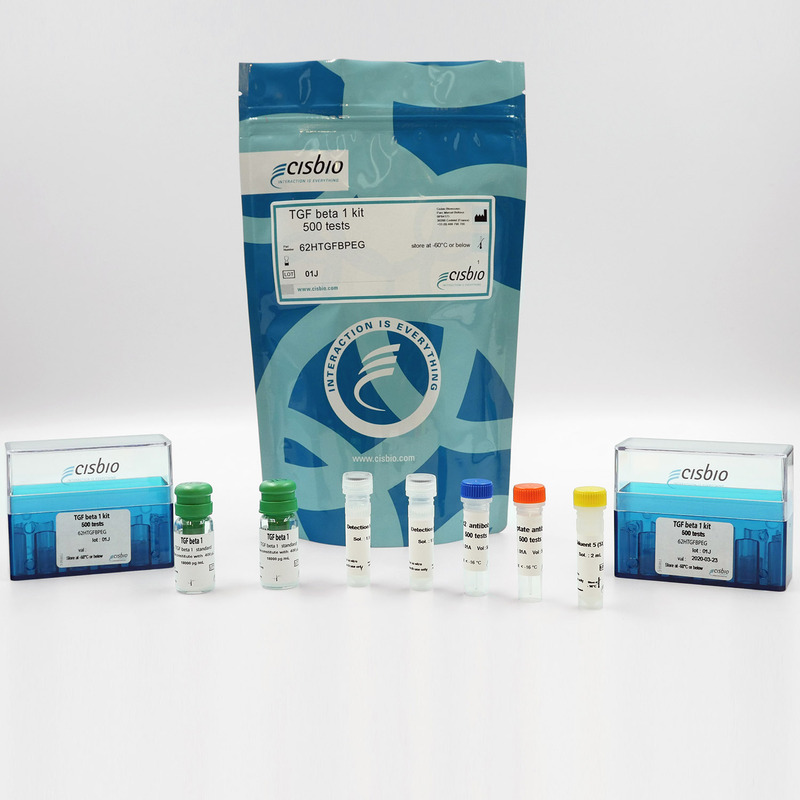 The Human and Mouse TGF beta 1 kit is designed for the quantification of human or mouse TGF beta 1 release in cell supernatant. 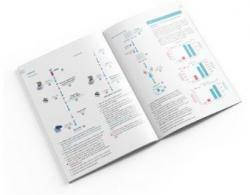 TGF beta 1 (Transforming Growth Factor Beta-1) is considered one of the major cytokines involved in the regulation of extracellular matrix (ECM) synthesis and degradation, as well as a major profibrotic factor. TGF beta 1 pre-proprotein is processed to generate a latency-associated peptide (LAP) and a mature TGFß1 peptide, which remain associated through strong non-covalent interactions. An activation step (MMP2 cleavage or acid activation) is required to release the active form of TGF beta 1 from the TGFß1-LAP complex. The samples and cell culture supernatants contain TGF beta 1 and a TGFß1-LAP complex, which require an acid activation step followed by a neutralization in order to be detected (sample activation can follow one of the protocols described on the right). The reagents needed for this activation step are provided in the kit for maximum convenience. 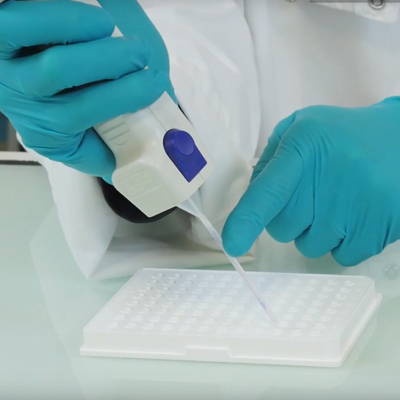 Standards and activated samples are dispensed directly into the detection (white, low-volume) plate for the detection by HTRF® reagents. 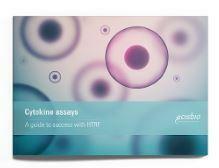 Cell supernatant, sample, or standard is dispensed directly into the assay plate for the detection by HTRF® reagents (384-well low-volume white plate or Cisbio low-volume 96-well plate in 20 µl). 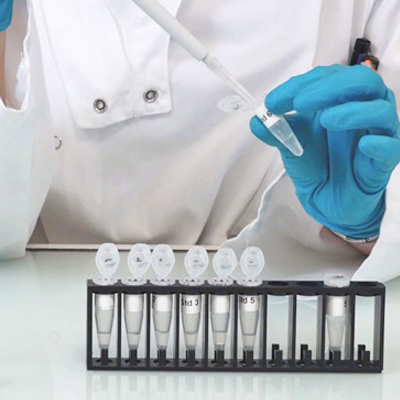 The antibodies labeled with the HTRF donor and acceptor are pre-mixed and added in a single dispensing step, to further streamline the assay procedure. The assay can be run up to a 1536 well-format by simply resizing each addition volume proportionally. 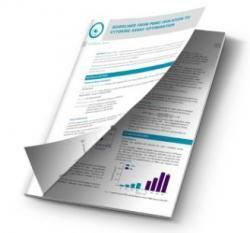 Cisbio also worked with Myassays.com to help you in your data analysis. By clicking on this link, you’ll be able to access a free online software to run your TGF beta 1 analysis. Species Human, mouse, bovine (use of FCS is possible up to 5% max), others expected (based on sequences similarities). No detection of chicken TGFß1. Specificity There is no cross-reactivity with human TGFß2 and TGFß3. Human PBMCs plated at 125 kcells/well (96 wells plate) in RPMI containing 4% FCS were stimulated for 18 h with Ionomycin (1 µg/mL) and PMA ranging from 0.5 to 50 ng/mL. After transfer into polypropylene microtubes, 50 µL of supernatants were treated with the acid activation reagent (5 µL, 10 min, room temperature) then with the neutralization reagent (5 µL). 16 µL were transferred into a white detection plate. Recommended controls include complemented media alone and unstimulated cells in complemented medium to determine TGF beta in stimulation media and baseline concentrations respectively. Immortalized mouse Kupffer cells (ImKC) were plated at 650 kcells/well (24 wells plate) in RPMI containing 4% FCS. After 24 h resting, the cells were stimulated for 16 h with increasing concentrations of LPS ranging from 0.05 to 5 µg/mL (final volume 500 µL/well). 100 µL of supernatants were acid activated (10 µL) for 10 min at room temperature then neutralized (10 µL). 16 µL of activated supernatants were then transferred into a white detection plate (384 low volume) to be analyzed by the Human TGF beta 1 Assay.